Of all the advancements correctly predicted by The Jetsons—space tourism, robots who do the vacuuming, video-chat technology that allows bosses to holler at their underlings—there are a few things the sci-fi sitcom failed to forecast. For example, future generation’s apparent interest in The Jetsons, or the fact that the Jetsons brand is apparently still making money for somebody. 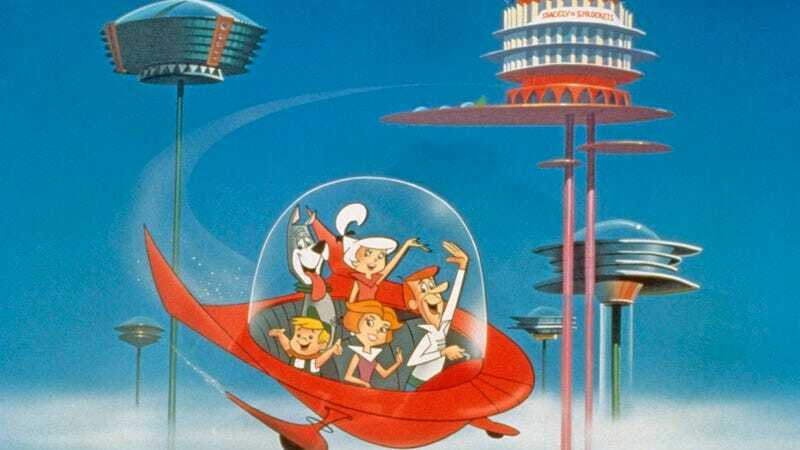 Warner Bros. has been attempting to get a Jetsons movie (not to be confused with 1990’s Jetsons: The Movie) off the ground for decades, with Kanye West, Robert Rodriguez, and Adam F. Goldberg all attached, at various times, to the quest to put George Jetson, his boy Elroy, daughter Judy, and Jane, his wife, in theaters. Now Entertainment Weekly reports that an ABC sitcom will be the latest attempt to bring The Jetsons into a future that is still technically The Jetsons’ past. The multi-cam reboot is being written and produced by Gary Janetti, who’s worked with cartoon characters for years on Family Guy, and has prior live-before-a-studio-audience experience via Will & Grace and Vicious. The network has placed a put-pilot order for the adaptation, so it’ll either pick The Jetsons up to series or pay a financial penalty for passing. And that’s how a familiar IP continues to generate revenue, whether it’s the 1990s, the 2010s, or the 2160s.